collective-hearts-still5 | Inspiration: a functional approach to creative practice. Published 2 January 2013 at 299 × 460 in 14.3 The workshop experiment (part 2 of 3). Figure 107: Image from participatory art workshop (still image from the film The Collective Hearts (2008.) Image © Gil Dekel. 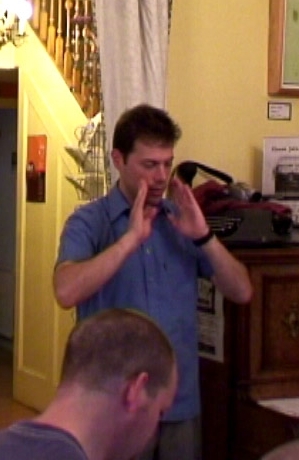 Image from participatory art workshop (still image from the film The Collective Hearts (2008.) Image © Gil Dekel.